We believe that the spiritual body of the school is built by the relationships that are created among all the people who live here. Our mission is to create and implement an educational experience focused on all areas of human development including intellectual, mental, social, intuitive, artistic attributes. We look for a learning experience that brings awareness of oneself, others and the universe; promotes human as well as community values; and instills in the children the love for knowledge for all life. Our objectives are to create a school environment that reflects the values of our homes and families, making the School of the World a viable alternative for preschool and elementary students in our community. We offer official certification, a program based on the Montessori Method integrated with an art and environment program. 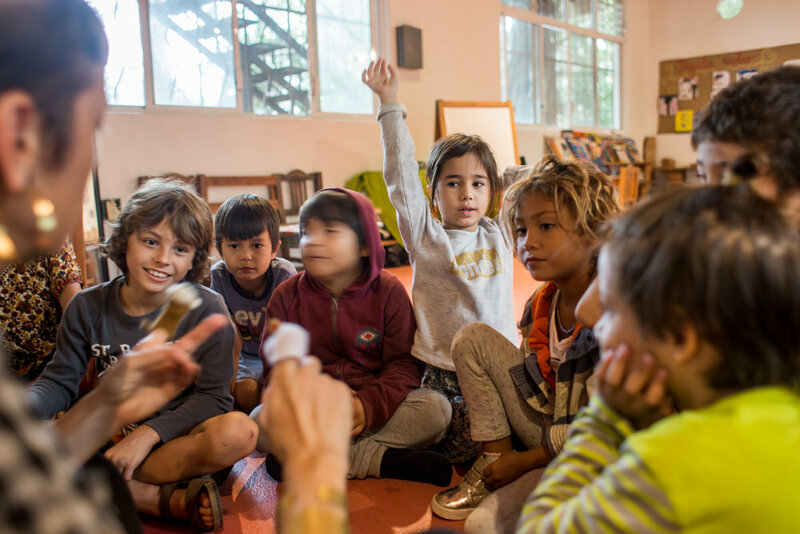 The school is based on a multidisciplinary approach to learning, thus offering an excellent social and academic experience for children of different ages and cultures.